My daughter Sydney starts college next week and after spending two years helping her get to this point I thought I knew everything about the admissions process, but I don’t. Last week something I had never heard of came to my attention: Instant Decision. 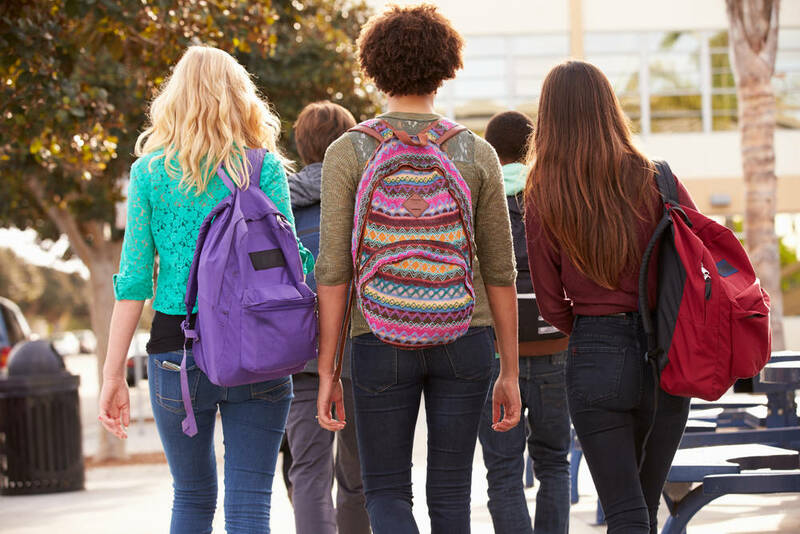 The CollegeBoard doesn’t talk about Instant Decision on it’s website but grownandflown.com writes, “Instant Decision Day (or, as some call it ID Day) is a chance for high school students to reduce the entire admissions process (including, in some cases, financial or merit aid) to one day.” Not all colleges and universities offer this option so look on their individual websites to find out. 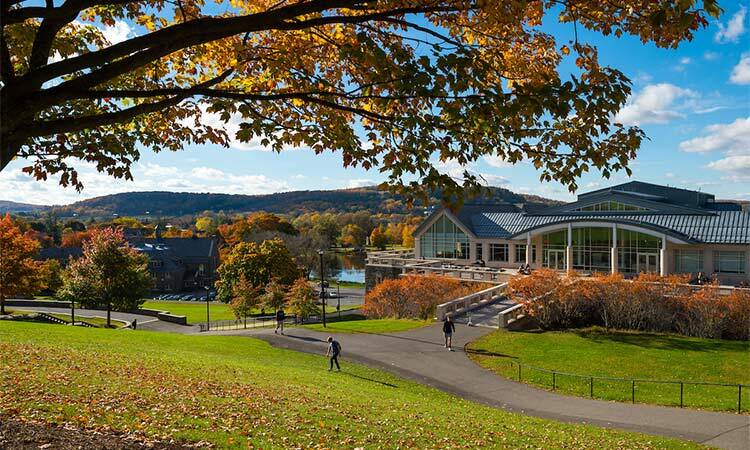 Bard College does and calls it Immediate Decision. Bard’s Immediate Decision Plan (IDP) requires an online reservation for a November in-person interview and a completed Common Application. The student is also required to read several assigned texts and participate in a seminar on interview day. That evening faculty discuss the interviews and a decision will be sent out the following business day. So if your student’s Bard interview is November 3, they will know if they are excepted as early as November 5. Now that is instant! 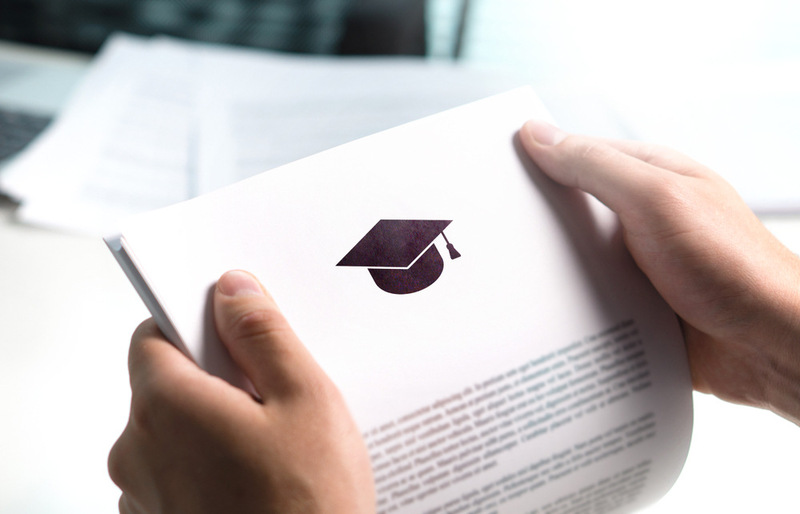 Binding means that with an early decision, you agree to go to that school school no matter what the financial aid package , if any, has been offered. Non-binding means you agree to go to that school only if the financial aid package works for your family. Before deciding on early decisions, make sure the school is the right one for your student and your family before committing. We might have chosen Immediate Decision if Bard was the right school for Sydney. Junior year is already off and running in the direction of college prep. On the first day of art class of eleventh grade my son’s art teacher passed out contact info for college art advisors. These advisors will look at portfolios and help get students in shape to apply to art school. They will also suggest which art schools are the best fit. Next week on my parent’s calendar is a meet-and-greet with the high school college counselor. At this meeting parents will hear about the differences between private and state schools, liberal arts vs. universities. We will be introduced to FAFSA and the CSS and learn when our student needs to sign up for SAT and ACT testing. And we will be able to ask questions from a number of representatives from different local colleges and universities. Our students will begin meeting with their college counselors mid-November. A weekly meeting will be built into their school schedule. During these meetings the students will become familiar with the Common App and start to work on their college essay. A first draft will be due by Spring break. This spring my son has the option of taking a trip with the eleventh grade to visit colleges along the California coast. Not all students will sign up for this trip, but it will be available to those interested. It’s a great way to see the schools at an affordable price. I am starting to think about spring break and if we need to do an east coast college tour with my son. From experience, I know it’s something to start planning early. When I took my daughter it was sometimes challenging to book tours, they filled up quickly. So if you are thinking about a spring college trip, start planning now! My daughter still has not left for college, her school starts in a couple of weeks, so I was hoping for a bit of a breather before getting my son ready. But I know what planning lies ahead and the next two years will be filled with college talk. I’m looking forward to her return trips home so she can relay her wisdom to my son. And I dream of them both attending the same university just as they attended the same high school. But they are different individuals and there are over 3,000 colleges and universities in this country. The chance that they will end up in the same place is slim. In the meantime, I am opening up my calendar and speckling it with college councilor meetings and college tours. Here we go again! How do you add test prep into an already full schedule of academic classes and extracurriculars? Hopefully during the summer your student established a test prep routine. Maybe using phone apps, or an online test prep program, or even a test prep class. My son has a twenty-minutes-a-day routine. But those twenty minutes can get used up pretty quickly now that school is here. I think the best test prep is self-motivation. When my daughter was a junior in high school she really didn’t get the urgency of test prep. By the end of junior year, she understood and stepped up her game. Suddenly test scores mattered to her as she was beginning to narrow down the colleges she wanted to attend and saw their minimum SAT score requirements. So perhaps start talking to your child early in the year about which colleges they are interested in. Look at the requirements of those colleges with them and let the reality sink in. If it’s something they want (getting into a specific school) instead of something you want (them to practice SAT) then they will become self-motivated and the test prep will take on an importance. With my own experience, this shift was necessary. According to The Washington Post, “In June 2015, SAT administrator College Board partnered with Khan Academy, a nonprofit education organization, to launch Official SAT Practice.” The Khan site is free to use and allows the student to connect to their College Board PSAT scores. Khan will prepare practice questions designed to support the students’ needs based on their scores. The student can practice with Khan at any time of the day and get instant feedback. Research shows that test prep will increase the student scores by an average of thirty points. Some people argue that’s not enough increase to warrant expensive tutors or take time away from academic studies. Others argue thirty points may make or break your student getting into a top college. I would sit down early with your child. Evaluate which schools they want to get into and compare their SAT or ACT scores with the average score for that school. Then come up with a game plan. Get your child involved in their future as soon as possible. Taking responsibility for their own actions will only benefit them later. And help them balance their prep time with everything else. 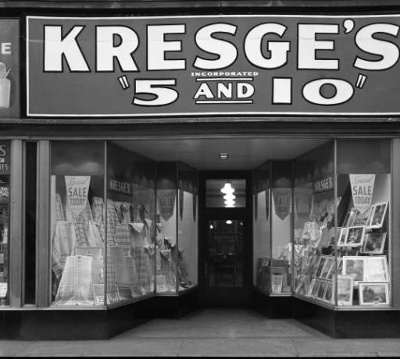 One of my favorite childhood memories was going to S.S. Kresge Five and Dime for school supplies after the first day of school. The neighborhood kids would pile into a station wagon and one of the moms would take us all. I loved choosing a fresh pencil box and new oil cloth that would fit over my desk for art class. When my kids were of school age I looked forward to picking out school supplies with them, but it was never the same. Instead of a five and dime, we headed off to Staples. The generic office supply store did not offer any charm or fun. I wanted a fun back-to-school ritual, so the day before school started we began heading to The Grove, an outdoor shopping mall in Los Angeles. There we’d check out American Girl Place, eat Sprinkles cupcakes and pick out first day of school outfits. This fun lasted up until my son started high school. Suddenly he didn’t want to spend his last day of summer with me and his sister. He now hated the idea of shopping for new school clothes and the American Girl Store. Online shopping was the only kind of shopping he’d do now. Sigh. This year we will order school supplies from shoplet.com. They have sections for elementary, middle school, high school and college. Prices are reasonable and they offer free shipping on orders over $35. My daughter starts college at the end of September, so we are starting to order her dorm and school supplies. I’ve found that dormify.com has the most stylish decor of all the dorm supply sites and she has been happy with their choices. Ikea.com also has a college section as does, universityhousewares.com. Bed, Bath and Beyond offers a cool service, where you order at their store and they ship the items directly to your child’s college or you can pick up the order at a store near the college. 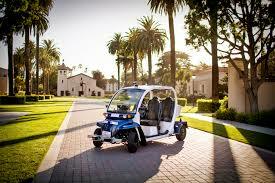 This is a great option for students traveling across the country. So, goodbye to the days of oil cloths and pencil boxes, hello to the days of shopping cart icons and free shipping! 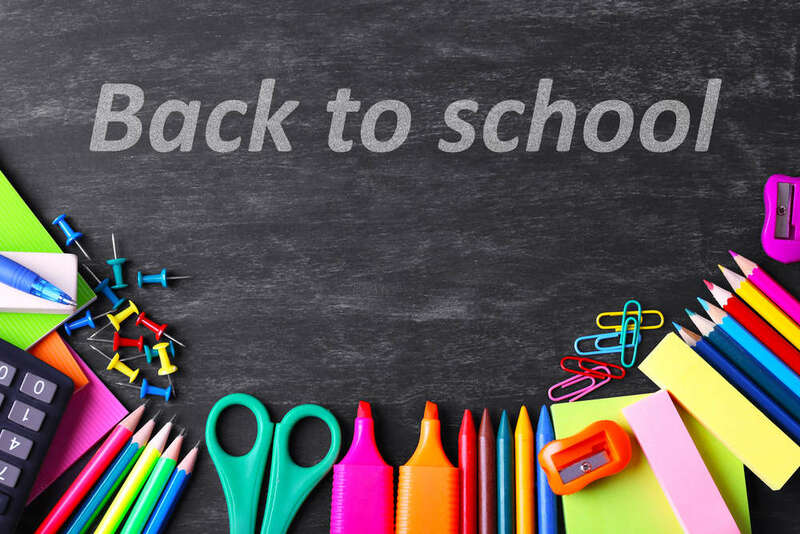 The best place to start when it comes to back to school shopping is the traditional school supplies. Think about what your child is going to need in the classroom, or at school on a daily basis. Always stock up on extra paper, pencils, folders, binders, and notebooks. Even if they don’t end up using the supplies this time around, you will have them ready for next year. One basic item that always comes up as a surprise expense is a graphing calculator. If your kid is in middle or high school, they will most likely need one of these for their math courses. It is important to invest in one that will last several years to prevent having to purchase a new one every year. You can’t go wrong with ordering one online to avoid scrambling once classes are back in session. It’s always been best to eat natural and stay healthy, but nowadays, it’s also trendy. From Kombucha Drinks to acai bowls, kids these days love posting pictures on Instagram of their healthy, colorful foods. Keep it simple and always have fruit and vegetables ready to serve. Hummus and peanut butter go well with different crackers or some vegetables. For example, you can always pack the traditional “ants on a log” (celery and peanut butter with raisins). Don’t go crazy trying to prepare anything too fancy or exotic, unless you have the time, in which case, go for it. As far as packing these healthy lunches goes, consider investing in an insulated lunch box to ensure a fresh meal. Some schools don’t serve lunch until four or five hours after the students arrive, so you want to make sure their food isn’t too warm, soggy, or stale. Your student’s daily cuisine isn’t the only thing you’ll want to keep fresh this back to school season. A good sense of style goes a long way in school. The first week of school is crucial when it comes to showcasing your fashion sense and making excellent first impressions, but you may not know what’s in and trending. It never hurts to take a look at Teen Vogue every once in a while. If you haven’t noticed, comfortable and athletic wear is what’s trending, which is perfect for long school days. You can’t go wrong with buying a comfortable pair of shoes and some track pants for the school day. While athletic wear is currently in style, it is important to note that dressing for success does, in fact, help increase productivity. According to Brain Fodder, when a person wears a suit or formal wear, there is a psychological response that makes them feel more powerful than usual. Perhaps once a week, your child can have a day where they dress nicer to boost their self-esteem and improve the quality of their work. Planning for the future, whether it is shopping for clothes or setting up a savings account, is the best way to build security for yourself and your family. That is why this back to school season you should consider planning for your child’s post-secondary future. 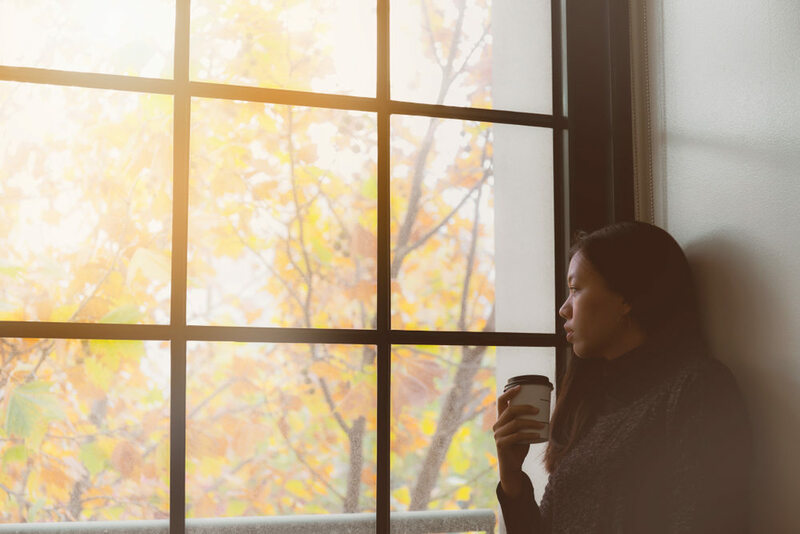 While most public schools have an on-site counselor, on average there are 482 students per college counselor, which results in a lack of guidance for the majority of students. Not everyone has the means or resources to hire a private college counselor, which can end up costing parents thousands of dollars. This is why myKlovr, the world’s first digital college counselor, is an investment you should be willing to make. 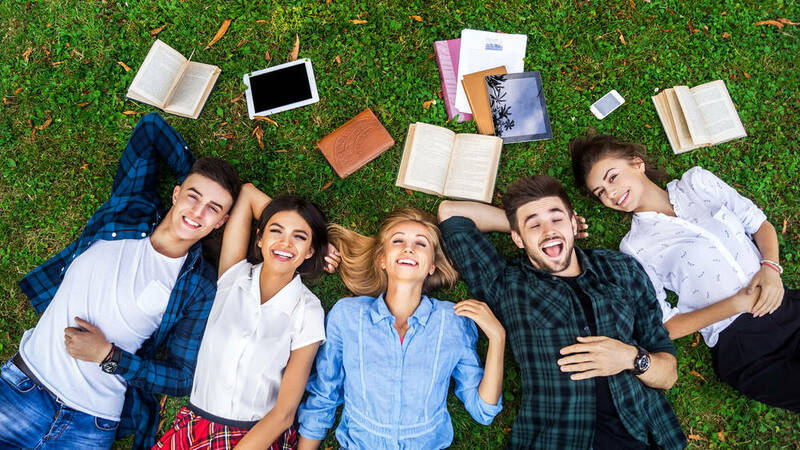 The platform is powered by artificial intelligence and has several features that will prove to be useful in helping you achieve their academic goals including an extremely customizable college finder, a GPA calculator for every grading scale, a personalized student dashboard and a linked parent account to help hold the child accountable and provide mentorship. Outside of myKlovr, there are several other tech products in the realm of back to school shopping that any student must have. While laptops and tablets are often not required in school, they do help students to stay organized and keep track of their assignments with ease. If you do end up buying one of these, they can be pretty expensive and you want to make sure they last. Getting a protective case for your phone and laptop is a wise choice and will provide some insurance of your electronic devices’ safety. With these new devices, you can’t go wrong with purchasing a good pair of headphones. Listening to music is very popular amongst youth and is also important when it comes to helping to relieve stress with the day-to-day challenges kids face in school. Let’s face it, school isn’t as easy as it once was. With the technology emerging at a rapid pace, excessive news coverage of political topics and national tragedies, the ongoing pressure of maintaining a social presence on the internet, constant contact with their social network, and many other factors, being an adolescent has never entailed so much baggage. That’s why investing in products and services that help alleviate stress is vital for this back to school season. Listening to music is one way to eliminate some stress, but there are other items you can buy to help reduce the amount of stress your child endures. Organizational tools like a planner or purposed storage always help to declutter. Lotions, candles and bath products with scents like lavender and vanilla are also found to be beneficial in relaxing many people. Don’t hesitate to provide your kid with tools allowing them to relax because it can prove to make them more productive in the rest of their lives. After attending multiple seminars with admissions directors and meeting with college counselors, it seems to be agreed upon that a well rounded college application is ideal. So what’s that look like for your high school freshman or sophomore? Colleges expect a schedule full of rigorous classes, but they also expect to see room on the student’s schedule for electives. And consistency is important with electives. For example, a college tends to be more impressed if they see a student take art all four years of high school rather than art one year, drama the next, music the next and then skip an elective the senior year. Colleges look for growth and commitment in electives. Colleges also want to see that the student has participated in any extracurriculars the school has to offer, whether that be sports, orchestra, musical theater or the school newspaper. These extracurriculars are just as important as the academics and electives. Schools don’t want to see that the student went home at 2pm to play video games on a daily basis. Student leadership and community service rank high with admissions directors as do participating in clubs. But again, they want to see the student attending these clubs for four years and perhaps growing into leadership positions within the clubs. Starting a club is often an option in high schools, so if you child has a good idea, encourage them to partition the school to begin a club. Make sure they follow through and grow the club over their four years. Usually a club will need a teacher advisor. If the club is successful, perhaps that teacher would write a stellar letter of recommendation for the student. 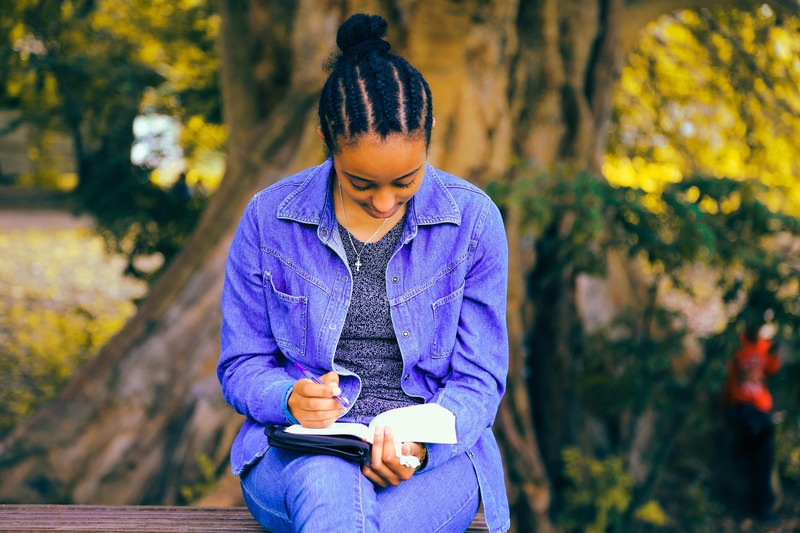 Seeing that a student can balance academics, create something new and navigate through the schools administration will bound to impress a college admissions director. Obviously grades are an important factor in getting into college, but being well rounded is as well. Just as in life, being well versed in different topics will only help to expand your child’s world. Should Your Student Take Harder High School Classes, or Play It Safe? High GPA’s are essential in today’s college admissions climate. Some student’s instincts might tell them to take easy classes, those they know they’ll do well in so they will end up with all A’s. Not a bad strategy except that the admissions directors would disagree. Colleges want to see rigor. When reviewing an application, one of the first things college admissions directors do is check the courses offered in your student’s high school. They will want to see if your student is taking advantage of the courses offered. They can tell the difference between a straight A student who has taken an easy route and the B student who has loaded up their schedule with honors or AP classes. From what I hear, colleges would prefer the latter. Not every school offers AP classes or honors classes. So how can the colleges fairly compare students from different types of schools? The colleges are familiar with high school honors programs in the different and can weigh them evenly. If your child wants to be a journalism major and the college sees they did not take an honors writing class that was offered in the school, they may determine that the student might not be as interested in journalism as they claim to be. Suggest to your child when they select classes for the fall that they take the most advanced classes that are in sink with what they want to major in in college. But make sure they do not take on too many honors or AP classes that might overload their schedule and causes stress. Balance is important. If your student is stronger in science than in English, then an AP in science is a good idea, maybe not the AP in English. Electives are important too. Colleges want to see a well rounded student and one that takes advantage of what the school has to offer. They’d like to see that the student can balance their academics with being on a sports team or in the high school musical. They’d also like to see that they participate in clubs or perhaps student government. High school is the time for students to explore their interests as well as academics. So encourage both. Besides, the student will perform better in their academics if they also have physical and creative outlets. Craig’s daughter Morgan played D1 lacrosse in college. After graduation in 2014, Morgan went on to get her masters degree and is now a Doctor of Physical Therapy. Hi Craig, thanks for sharing your story about Morgan. At what age did Morgan begin playing lacrosse and when did your family think she might play lacrosse in college? Morgan began playing lacrosse around six years old and I think we all thought she’d play in college back when she was in middle school. Was Morgan recruited? If so, what was the process like to be recruited as a D1 athlete? She was pretty seriously recruited by about twelve to fifteen schools. Most coaches who were interested had seen her play in summer and fall “Showcase Tournaments.” She had invited the coaches prior to the events to watch her play. Luckily, she played for a Club Team that had a pretty good reputation, so a lot of coaches came to watch her team play. Once a coach had contacted her, we made sure she emailed the coach back thanking them for their interest and then she’d stay in touch. Eventually, the list of schools got paired down due to a variety of reasons, some on Morgan’s account, others on the school’s account. The recruiting game often comes down to numbers – the number of recruits the school desires and to a lesser degree, the amount of money they have to spend on scholarships. One school that was VERY interested in Morgan dropped off the face of the earth once they got the number of commitments they were looking for. Morgan had told them that although they were her first choice, she wanted to see some of the other schools who had expressed interest. I guess that once other players had verbally committed, there wasn’t any more room for Morgan. Did you visit or tour multiple colleges? For Morgan, it was very important to see as many schools as she could, not only to see what she liked, but equally as important, what she DIDN’T like. There were a lot of college visits, a ton of emails and some frustrations as well as smiles!! It was all worth it when Morgan received “the call” from a coach asking her to join thier team. This call came when we were on vacation around July 4th (following her junior year of high school) and from that point on, as long as Morgan kept her grades up, her senior year would be smooth sailing. Was she offered athletic scholarships? She was offered a small scholarship ( most of the other money had been allocated to others) but that was quite a day!! How much of her time at college was devoted to playing lacrosse? Playing a sport at a Division 1 school is a full time job!! 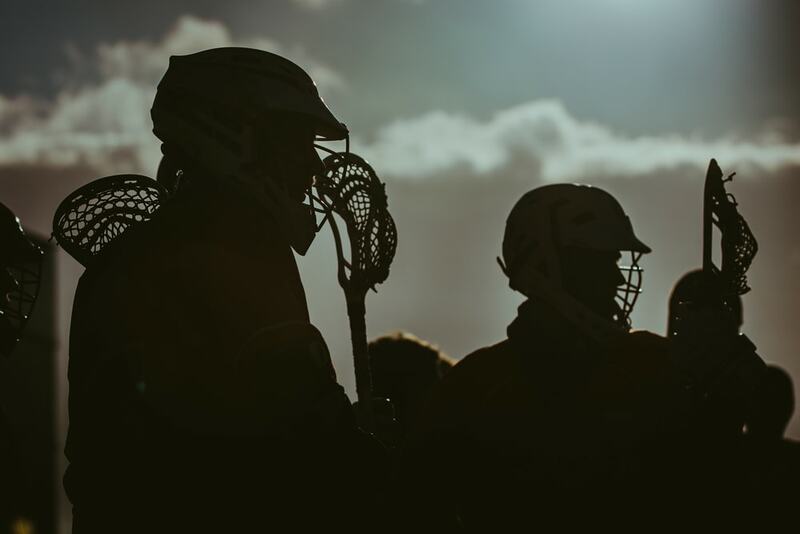 While lacrosse is a spring sport, there were practices in the fall as well as the spring and “self workouts” during the summer. An athlete MUST love the sport and be totally dedicated to play a D1 sport in college. Do you think lacrosse had ever taken away from Morgan’s academics? Since there is so much time involved with practice, workouts and travel, time management becomes of utmost importance to balance academics and athletics. Luckily, Morgan learned this in high school and was very organized when it came to her studies. Do you feel the balance of being an athlete was beneficial to her academic success? There is no doubt in my mind that striking this balance helped her academically and why she did so well in both college and grad school. Did being on a sports team in college help to give her an identity, or a group of friends to be with? Being on a team in college becomes one’s family/sorority and those friendships often become lifelong. It certainly made the transition to college life easier having a built in support network. What might you do differently if you had to do it all over? I don’t think we’d do anything differently. Any parting words for other parents just beginning their search with a D1 athlete? For any parents entering in this “game” first and foremost, enjoy the ride!! There will be many ups and downs, but it WILL all work out for the best. Please be realistic about your child’s talent level and know how good he or she is. Pick schools that if your child never steps on the field again, they will be happy attending. Remember, very few if any college athlete gets a job playing their sport so go to a school that has a major your child is interested in. Ultimately, your child will know which school is right for them, so let them make the decision without a lot of pressure from you. The NCAA has some pretty stringent rules about how and when to contact coaches so make sure to be aware of those rules. Also, don’t be afraid to ask the coach where your child stands as far as the whole recruitment thing goes. The coaches should be honest with you and it is imperative that you are honest with them. Thank you so much, Craig. And best of luck to Dr. Morgan! Two months ago my son agreed to do SAT test prep for twenty minutes a day. That plan went pretty well the first week, but we found that on weekends, his days were so packed he could barely find a minute to study. He’d been using an SAT test prep book at home and we were just about to go on a long road trip. I was worried his twenty-minutes-a-day plan would disappear. Then I discovered SAT and ACT practice apps I could download for free. I was elated. He was a bit bummed that he now had no excuse not to study on the road, but I convinced him the apps are game-like and might relieve some boredom on the long car ride. The Daily Practice for the SAT®, free app from The College Board, has several parts. One that my son found helpful was the Scan and Score feature which allows you to take a photo of your SAT practice worksheet and obtain instant test scores. They offer an SAT Question of the Day, or the chance to binge on specific SAT practice questions. Not the funnest interface, but definitely closet to the real thing given that it was created by The College Board. Magoosh offers the free ACT Practice Flashcards app. This harmless interface allows the student to move through a series of flashcards and set their own practice pace. By logging in, your child can keep track of their progress and easily pick up where they left off. Practice sessions for English include: Punctuation and Grammar, and Structure and Style. For Math: Integer Properties, Fractions and Ratios, Algebra, Geometry, Trigonometry and Advanced Topics. For Science: Earth Science, Biology, Chemistry and Physics. So no need to let the family summer road trip be an excuse for your child to stop SAT or ACT prep. And parents, you might want to try the app once in awhile. There’s nothing wrong with a little mental math practice in your adult years. And besides, children learn from example, right? 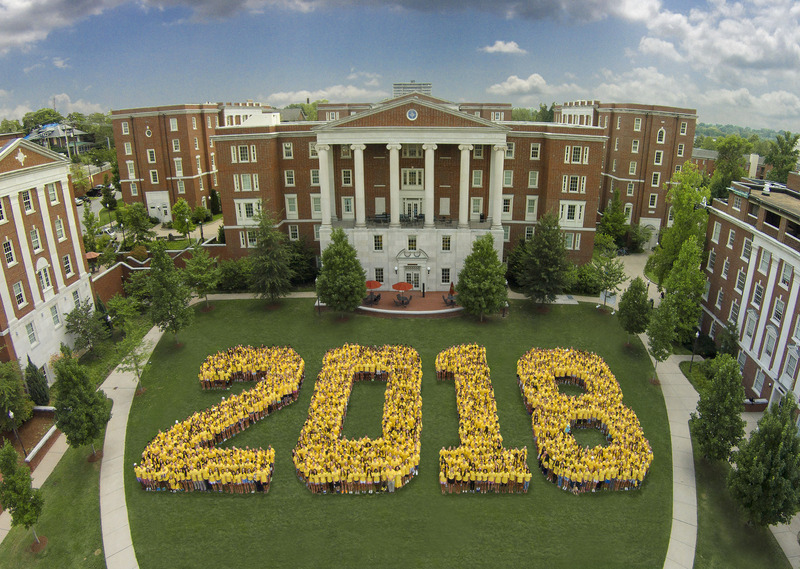 Your virtual college counselor has arranged a list of 2018’s 50 best colleges and universities in the U.S. MyKlovr arranged a ranking-scale by combining the average ranking and data of some of the most reliable college rankings, including sources such as the Wall Street Journal, Forbes, Niche, and more. The oldest institute of higher learning in the country, Harvard is well known for its political science, social science, and law programs. With a beautiful campus and an 87% graduation rate in the standard four years, Harvard is the most prestigious and sought after university in the country. 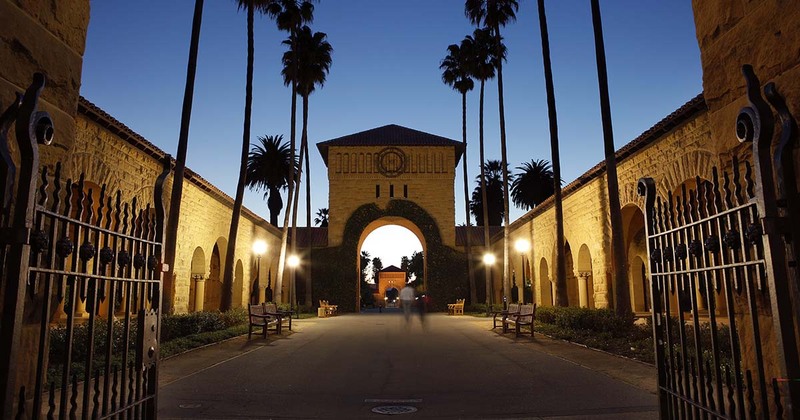 Known for their Computer Science program, Stanford enrolls nearly 17,000 students with average ACT scores hovering between 31 – 36 points. Stanford’s location, close in proximity to Silicon Valley is a great incentive for living arrangements for many applicants. Yale University is arguably the most selective Ivy League school with a rich history, tight community, and impressive alumni organization. 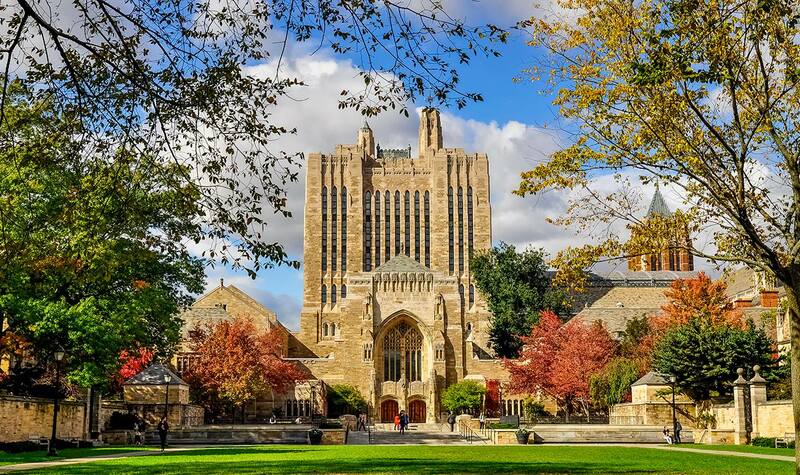 Yale is also the alma mater of 5 U.S. presidents and 20 living billionaires. 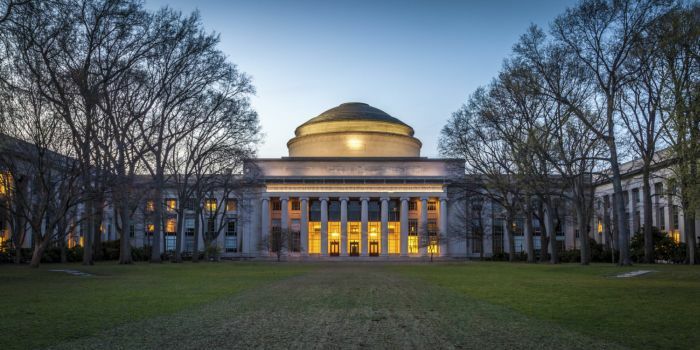 Opened up to students in 1865 after the Civil War, MIT, is worldwide leader in physical sciences, engineering, economics, and biology. 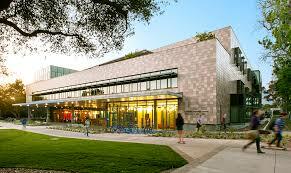 CalTech is best known for their prestigious engineering program, social life, sports teams, and famous beaver mascot. The extremely small student body can be extremely appealing or problematic to potential applicants depending upon their individual interests. 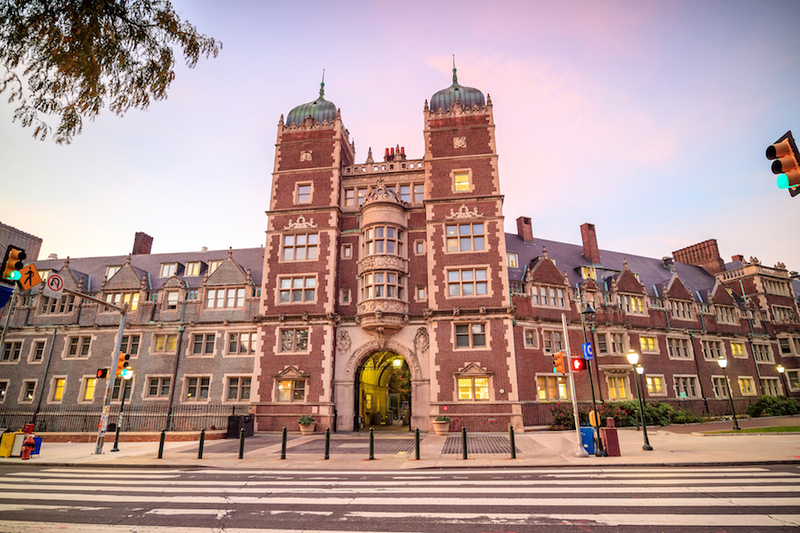 Upenn’s motto is “Leges sine moribus vanae,” meaning “Laws without morals are useless.” The competitive, yet respected reputation, as well as the city-feel location of this Ivy-League school is a huge reason why Upenn receives well over 37,000 applications each year. Formerly known as the college of New Jersey in the 1800’s, Princeton is well known for their Econ concentration. It is no surprise that they also have a phenomenal financial aid program, graduating 83% of their students without student debt. With a shockingly small faculty to student ratio of 7:1, The majority of Duke’s students are enrolled in the graduate school. 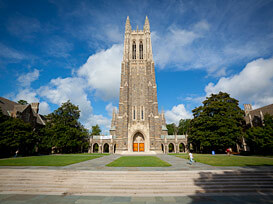 With a wide variety of majors to choose from, Duke is known for their top-tier athletic teams and facilities, including their lacrosse team who has won 3 national championships. The university is composed of the College, various graduate programs and committees organized into five academic research divisions and seven professional schools. 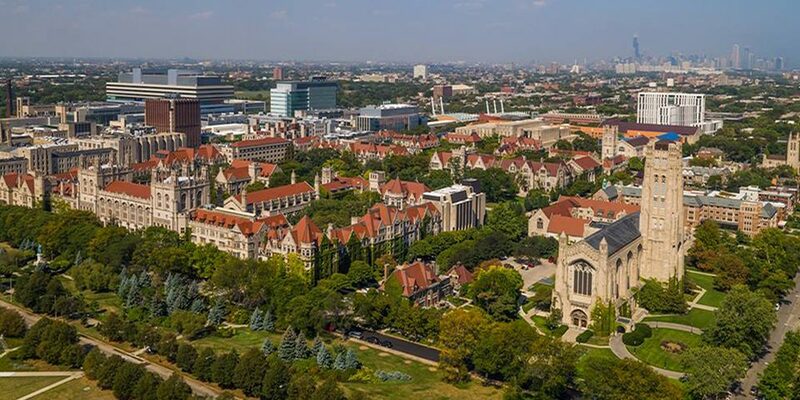 The University of Chicago scholars have played a major role in the development of many academic disciplines, including sociology, literary criticism, religion, and more. 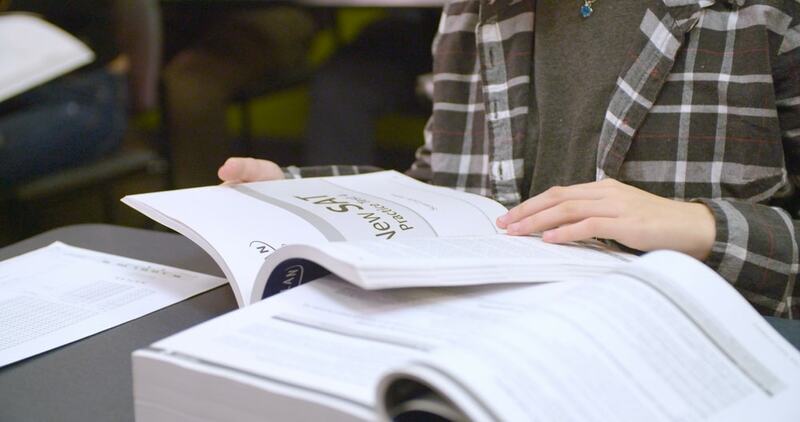 Dartmouth provides 57 majors for their students throughout their quarter plan. The most popular of these majors are Economics and Political Science. Dartmouth also has a unique Center for Professional Development, in which faculty members work with students and employers to achieve post-graduate success. 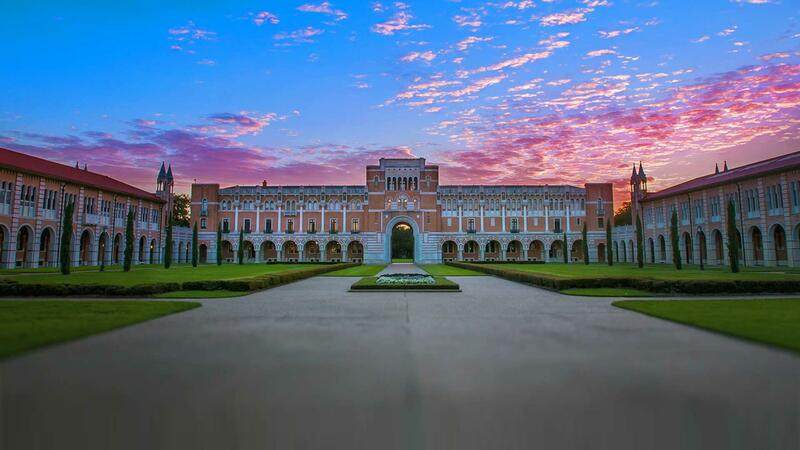 With a competitive acceptance rate and 6:1 faculty to student ratio, Rice places great emphasis and support on academic achievement, as well as their sports teams, including their 14 Division one programs and wide variety of intramural sports. With an incredibly long history, Brown was the first school in the Ivy League, 7th oldest college in the country, and the first to admit students regardless of their religious affiliation. The unique city of Providence is also another reason many students chose to apply here. 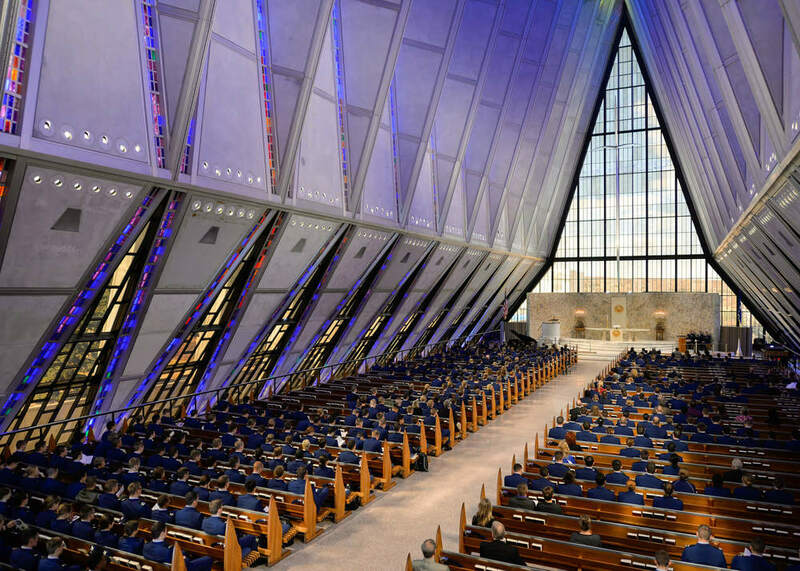 Most Notre Dame students live on campus, hovering around 80% of the student-body. This is huge factor in the incredible turn-outs of their sporting events at Notre Dame Stadium, specifically football games, seating over 80,000 fans. Popular majors include finance, marketing, and accounting. Located in the middle of Nashville, Vanderbilt is known for their strong curriculum and upstanding reputation. Vanderbilt accepts students with average SAT scores between 1,430-1,580 and ACT scores between 32-36. Named after George Washington and Robert E. Lee, W&L offers a wide variety of majors and minors. Their school motto is Non Incautus Futuri, meaning not unmindful of the future. 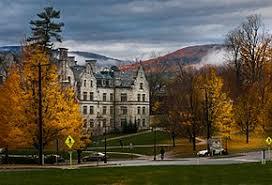 Amherst is often referred to as the best liberal arts college in the country. 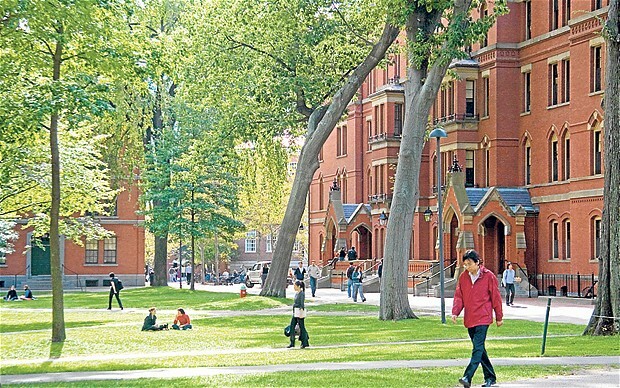 Their academic reputation, political engagement, and scenic campus is a large factor in why students choose this school over many Ivy-League schools. 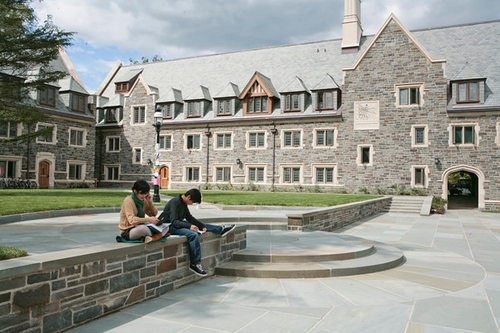 Offering around 50 majors, Georgetown is made up of 9 grad and under-grad schools. They are best known for their Economics, Political Science, and Finance programs. They are also regarded as having a very active student body, especially when it comes to their sports teams. With an extremely small student body, Harvey Mudd’s mission is fairly simple and straight forward. As a liberal arts college, they aim to educate future mathematicians, engineers, and scientists. In fact, they have one of the best engineering programs in the nation. 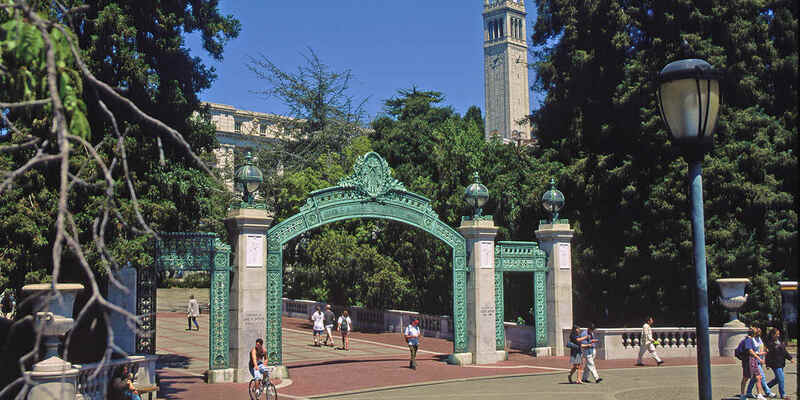 Often considered as the best public school in the country, UC Berkley specializes in Social Sciences, Engineering, Biological and Biomedical Sciences, Multi/Interdisciplinary Studies, and Mathematics and Statistics. Although the school has a massive student body, 52.3 percent of its classes have fewer than 20 students. It is also interesting to note that the average freshman retention rate, an indicator of student satisfaction, is 97 percent. 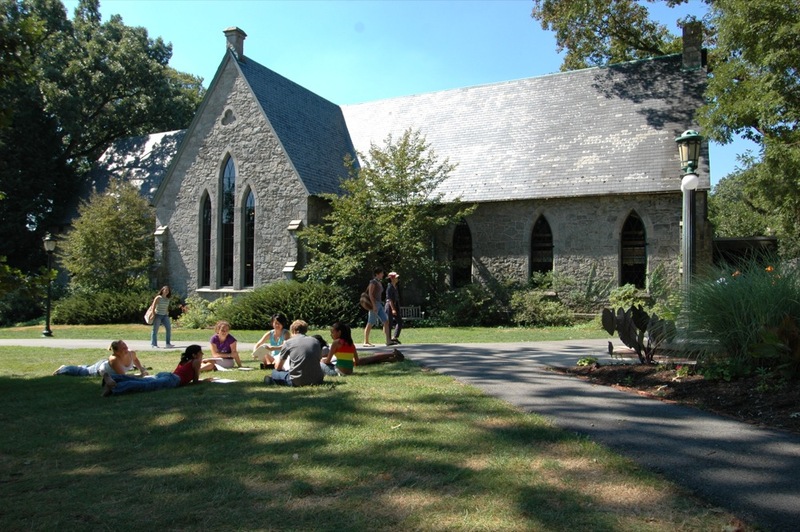 Founded by Quakers in 1864, Swarthmore was one of the first coeducational schools in the U.S. It has an 89% four-year graduation rate. They also have a very small student-to-faculty ratio of roughly 8:1, giving students plenty of face to face exposure with their professors. 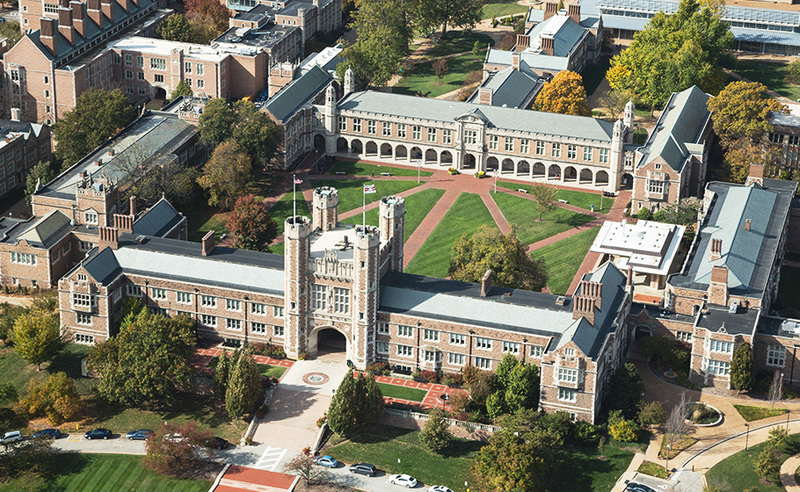 Known as being one of the oldest and most prestigious colleges in the U.S., Williams was founded in 1793. They are also known for meeting 100% of admitted students’ financial needs. Michigan has an extremely unique curriculum when it comes to choosing fields of interests. Their most popular majors include more general studies such as Business, Economics, Psychology, and Computer Sciences. They also have a flourishing social scene that revolves around their top-notch sports programs including football, hockey, and basketball. 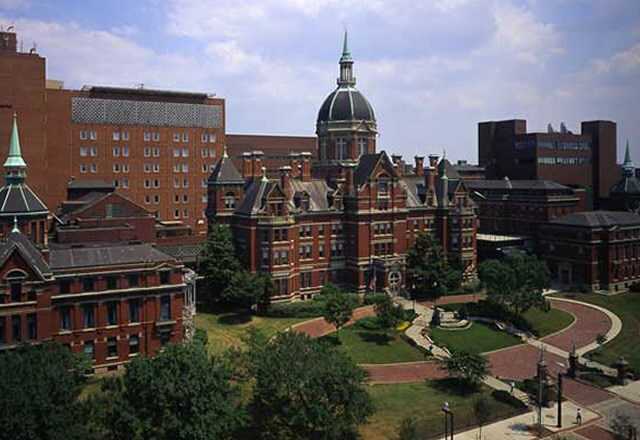 Founded in 1876, Johns Hopkins is known for their incredible medical school. It is no wonder that their most popular undergraduate majors are Nursing, Public Health, and Biomedical Engineering. Many students here have a lot of pride in their school and sports teams, specifically the lacrosse team. 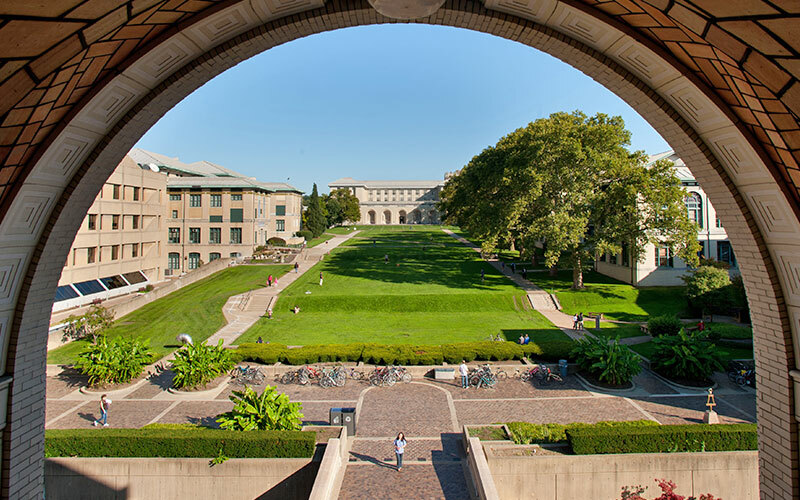 Carnegie Mellon is known for its programs in science and technology, but its seven schools and colleges include the College of Fine Arts and the Dietrich College of Humanities and Social Sciences. 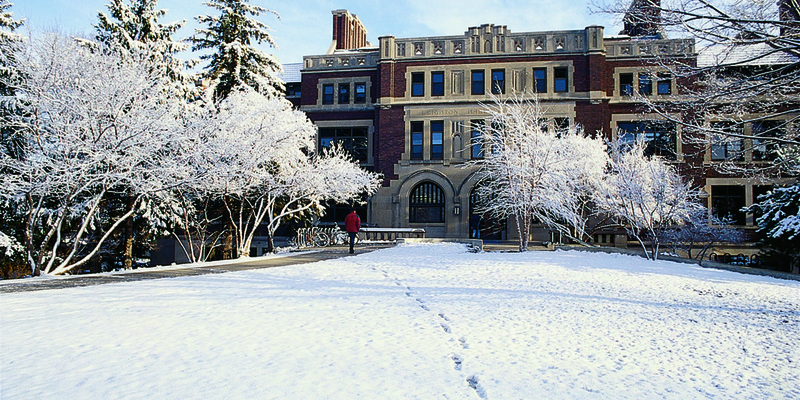 They are also known for their acclaimed grad-programs. Tufts has a slim 16.1% acceptance rate. There is also a 9:1 student to faculty ratio at this university, creating a small, yet close culture. Their mascot, Jumbo the Elephant is very popular among their student-body and athletic programs. The top 4 most popular majors at Pomona are Economics, Mathematics, Biology, and Neuroscience. As you would guess, the student to faculty ratio and the class sizes are extremely small. It is also interesting to note that the average SAT and ACT scores for admitted students fall around the 95th percentile. 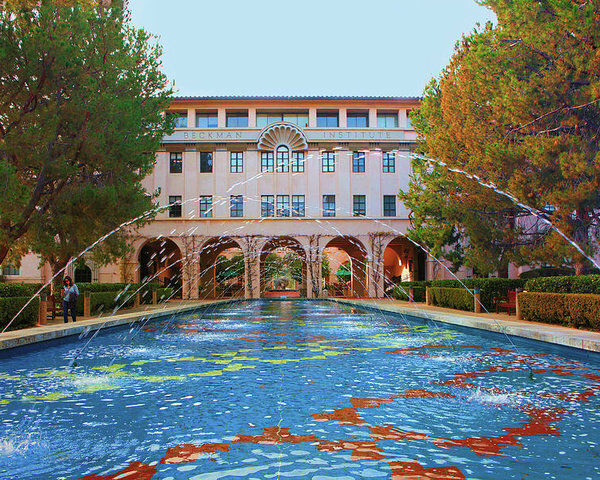 With a huge emphasis on academic achievement and athletic support, Claremont McKenna College was originally an all-boys college, but opened their doors to women in in the 70’s. For whatever reason, their men’s sports teams play as the Stags, while the women play as the Athenas. At UCLA, the two most popular majors are Political Science and Psychology. They also have a phenomenal Economics program which is very popular among under-grads. 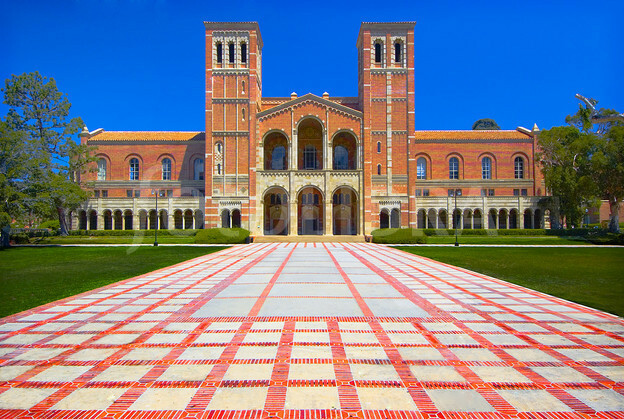 The LA location is also a large factor in why students chose this University. 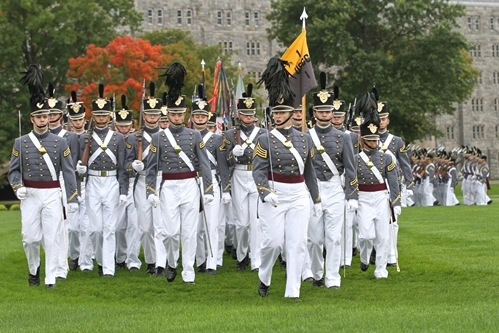 Students come to Army from all over the country to follow their code “a cadet will not lie, cheat, steal, or tolerate those who do.” interestingly, the Cadets have a 93% first-year retention rate and an extremely small faculty to student ration, allowing for plenty of hands-on learning and engagement with USMA educators. Carleton has a rural setting with a campus size of 955 acres. 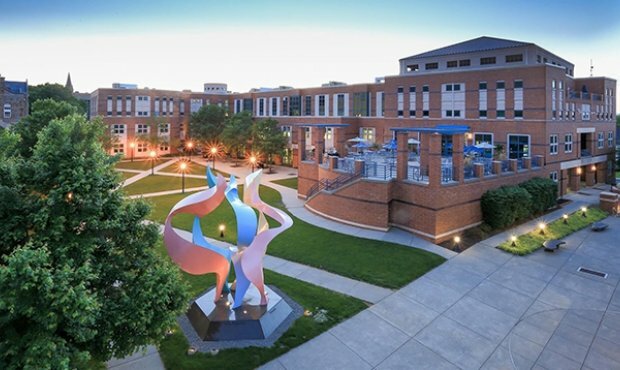 It utilizes a trimester-based academic calendar and ranks as the 8th best Liberal Arts College in the 2018 edition of Best Colleges. Tuition and fees hover around $52,782 a year. 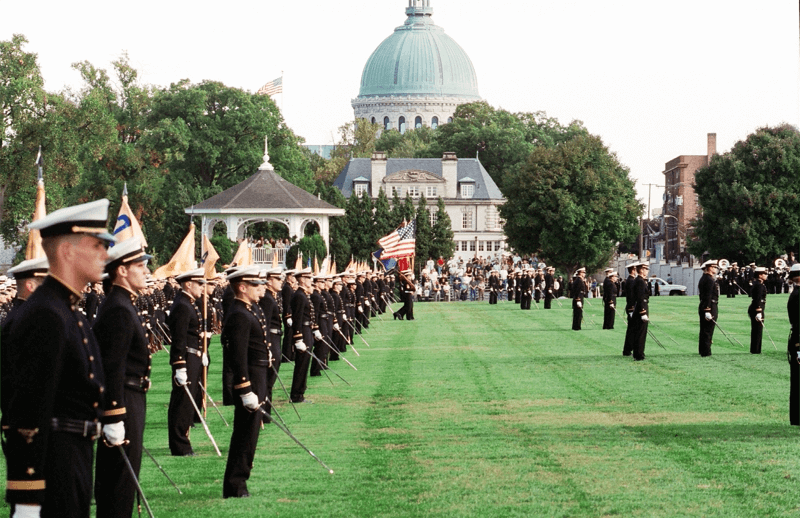 Located a little over 30 miles away from Washington D.C., Navy has an incredible 98% first-year retention rate and an 8:1 student-to-faculty ratio. Students love to support the blue and gold at their division one sporting events, including football and basketball. 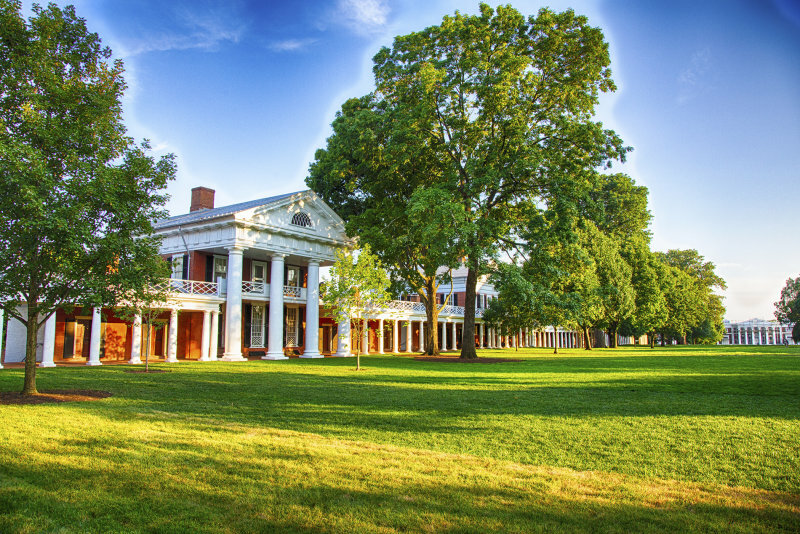 UVA specializes in liberal arts studies and business as their students’ most preferred majors. They also have an amazing alumni association. Olympians, astronauts, and U.S. political leaders have all graduated from the University of Virginia. Haverford offers a wide variety of majors. The most popular include Psychology, Biology, Economics, and English. The average SAT scores range between 1,350-1,530. Heavily affiliated with the United Methodist Church, Emory is one of the oldest private Universities in the country. 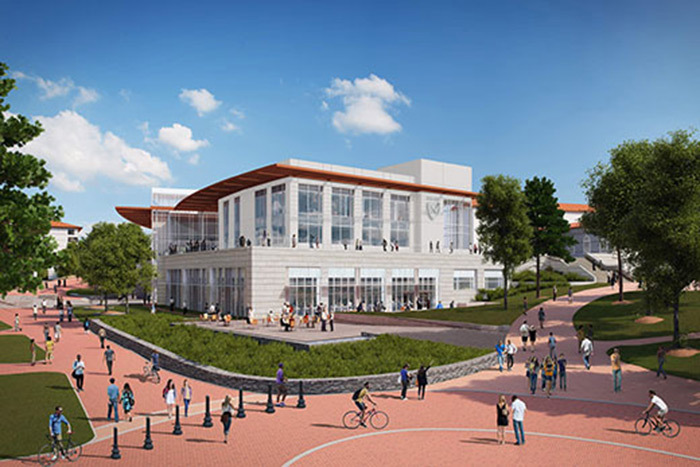 Emory specializes in Business Administration and Management. This liberal arts school has a competitive 17.4% acceptance rate and has an 8:1 student to faculty ratio. 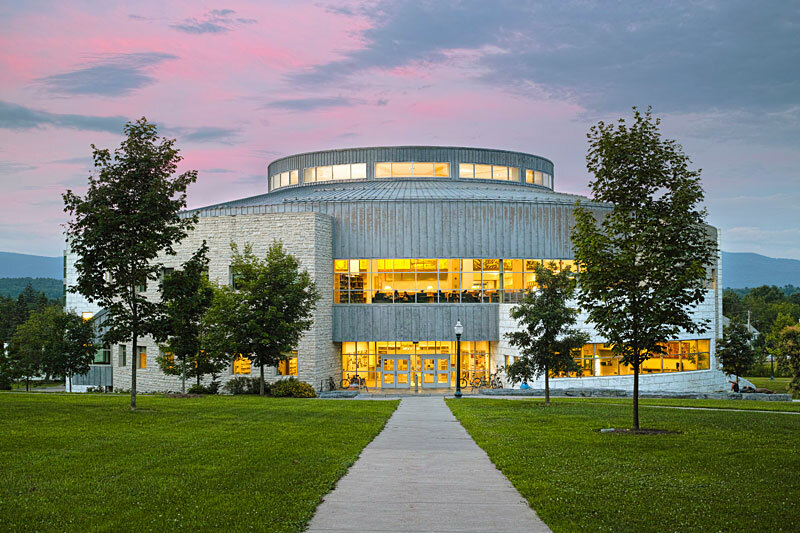 With a beautiful north eastern campus and close-knit community, Middlebury has a 97% first year retention rate, a great indicator of freshmen satisfaction. 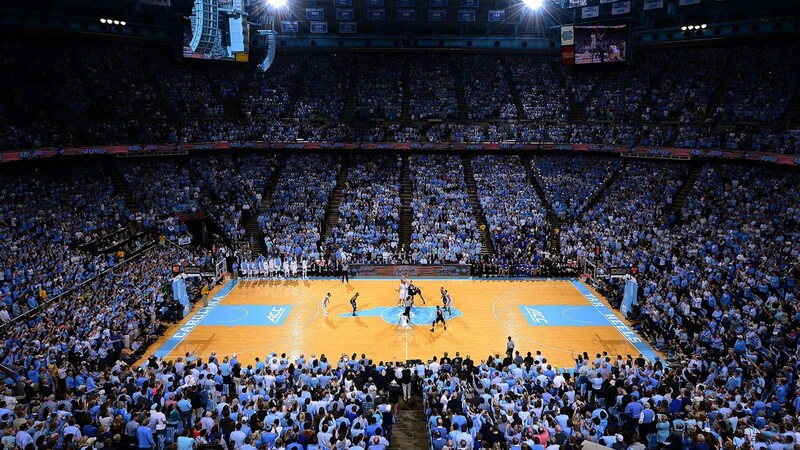 UNC is tied with two other colleges as the oldest public university in the United States, dating back to 1795. Students can participate in over 550 officially recognized student organizations and are known for their talented sports teams, beautiful facilities, and strong social scenes and events. 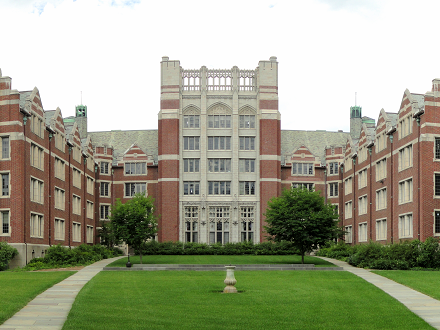 One of the original Seven Sisters Colleges, Wellesley is arguably one of the most famous women’s colleges in the world. Notable alumni include Katharine Lee Bates, Diane Sawyer, and Hillary Clinton. Their most preferred major is Economics. 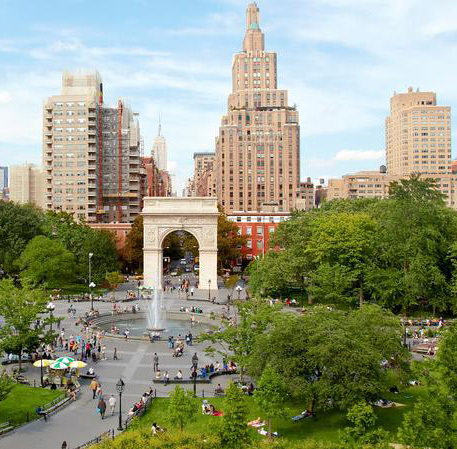 NYU is an extremely culturally diverse and international university that offers a wide variety of majors. 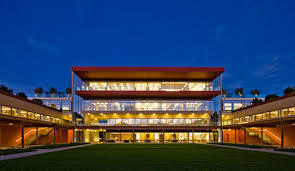 They have campuses in Abu Dhabi, Shanghai, Accra, Berlin, Buenos Aires, Florence, London, Madrid, Paris, Prague, New York City, Sydney, and Washington D.C. NYU also has an impressive list of notable alumni, including CEOs of Fortune 500 companies, Olympians, heads of state, astronauts, and more. 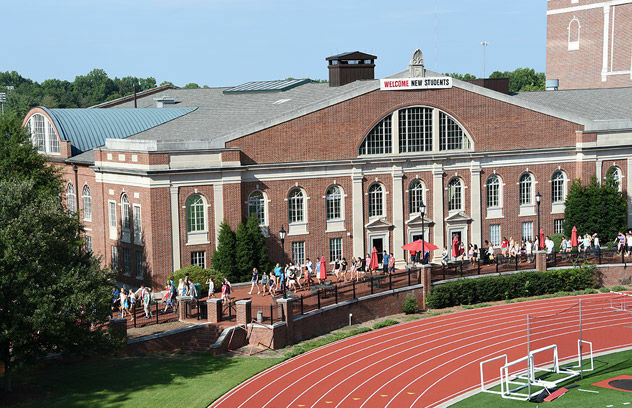 Known as the Wildcats, Davidson students have an average SAT score of 1,280–1,430. Their motto is “Let learning be cherished where liberty has arisen,” which is instilled among their high-achieving students and strong reputation. Located just a few hours from the Blue Ridge Mountains and beaches of South Carolina, Wake Forest has a beautiful campus that offers intramural sports and plenty of outdoor trips. Of the 6 schools that make up Wake Forest, the School of Law, School of Business, and School of Medicine are extremely competitive. 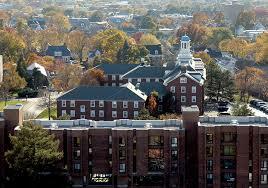 Undergraduates are enrolled in either Wake Forest College or the business school. 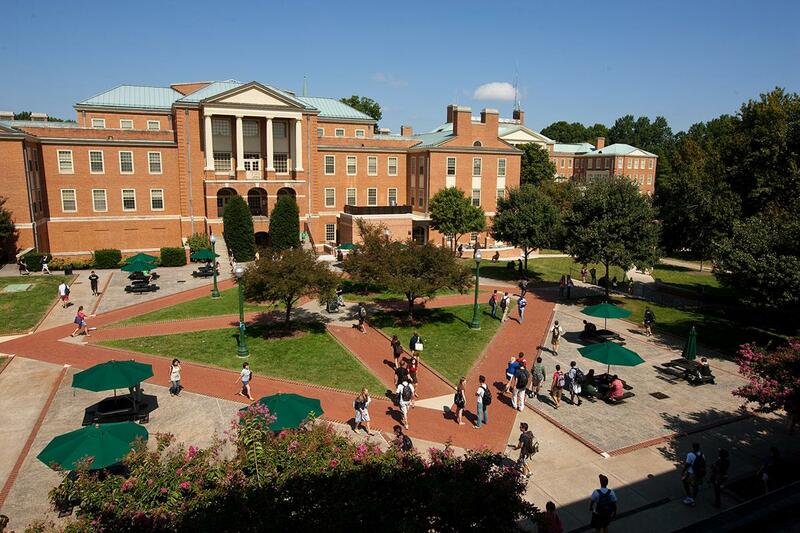 William and Mary has more than 30 undergraduate programs and more than 10 graduate and professional degree programs. Of their highly ranked grad schools, the first law school in the U.S. is one of them. William and Mary is also responsible for the nation’s first academic Greek society, Phi Betta Kappa. 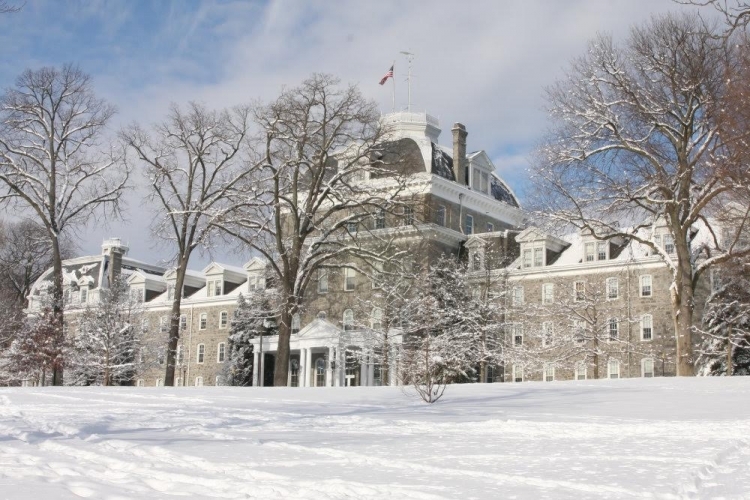 Colgate’s academic departments and majors fall into one of four general divisions: humanities, natural sciences and mathematics, social sciences and university studies. Greek life plays a significant role in student life, representing nearly half of sophomores, juniors and seniors. Boston College, founded in 1863 by the Society of Jesus is a Jesuit Catholic school that has been classified by the Carnegie Foundation for the Advancement of Teaching as a university with high research activity. BC is made up of nine schools, including grad-programs, and competes in nearly 30 NCAA Division I varsity sports. Lehigh is considered one of the twenty-four Hidden Ivies in the Northeastern U.S. They have four colleges: the P.C. Rossin College of Engineering and Applied Science, the College of Arts and Sciences, the College of Business and Economics, and the College of Education. The College of Arts and Sciences is the largest, which roughly consists of 40% of their students. 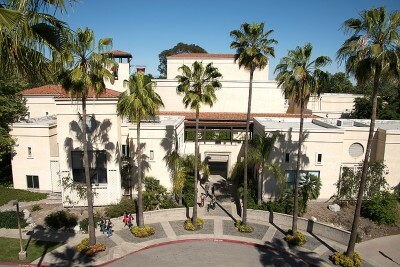 Santa Clara is the oldest currently operating institution of higher education in California and offers a wide variety of majors, as well as 17 varsity athletic programs competing at the division one program. Students at this highly selective school tend to have ACT scores between 27–32 and SAT scores between 1,220–1,410. Vassar college is a top-tier liberal arts college that offers over 100 clubs and organizations for students to get involved with. Almost all students live on campus in 1 of 12 resident halls. 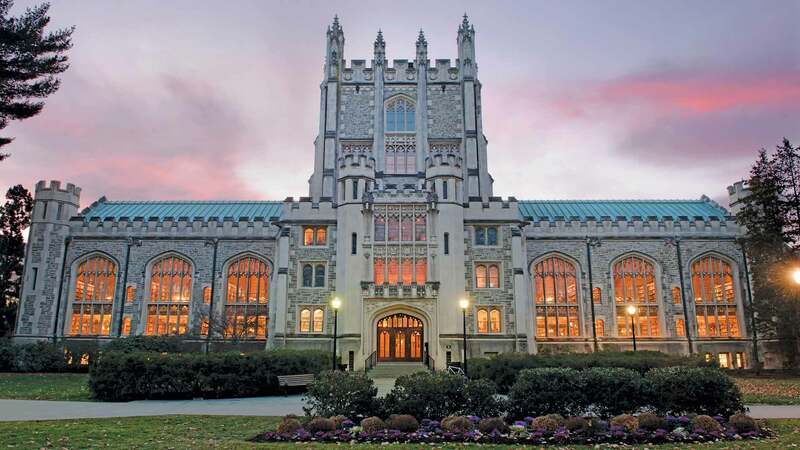 Vassar has a solid 90% four-year graduation rate, and a 94% first year retention rate. 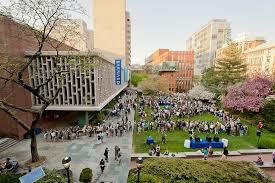 Barnard College is comprised of two schools, offering a small, yet strong liberal arts school and a large, coeducational Ivy League institution, both in NYC. Barnard is an all-female college in Manhattan with a co-ed partnership with Columbia University, across the street. 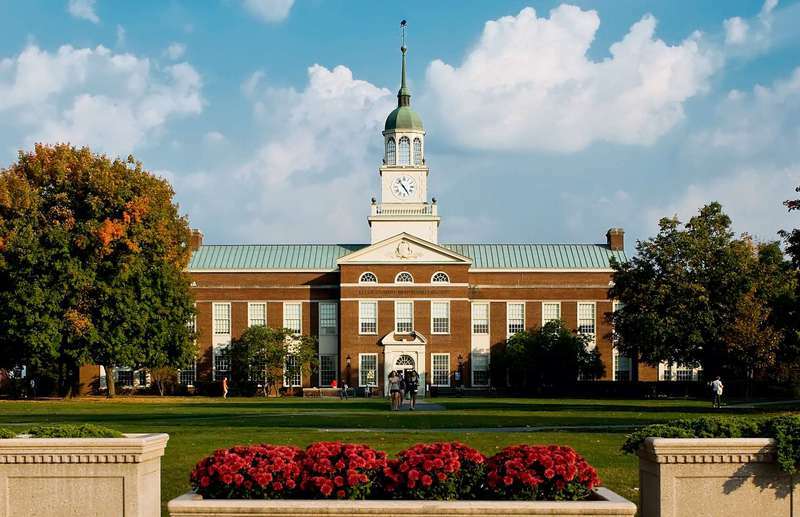 Bucknell, being a very diverse institution offers nearly 50 majors and over 60 minors. Bucknell’s most popular are Economics, Political Science, Accounting, Finance, and Biology. They have an impressive first year retention rate of 93%. Colby’s campus encompasses a wildlife refuge and is close in proximity to a preserved lakefront property for environmental studies. 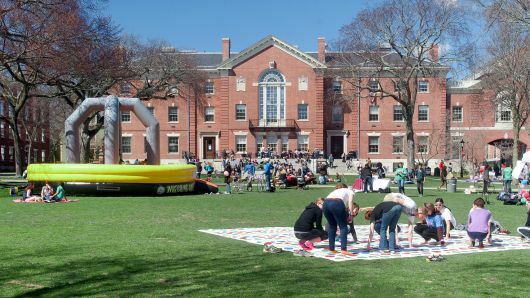 There are approximately 100 student-run clubs and organizations on campus, ranging from the Colby Ballroom Dance Club to the Society Organized Against Racism. More than one-third of students are members of Colby’s intercollegiate varsity sports teams, the Mules. So there you have it, top 50 colleges and universities in the U.S. ranked by myKlovr. If you are still not sure what schools to apply to, check out our college finder to find your perfect match today! Do Scholarship Programs Like FastWeb Really Pay Off? With college prices soaring into the $70K range any bit of scholarship money can help. I’ve been exploring several online scholarship programs and wondering if they work. About a year ago I signed up for FastWeb.com. By plugging in a series of details about my daughter’s interest and talents, an algorithm generated a list of matches for independent scholarships. Many were state or city related and they ranged between $250- $10,000. Every day for a year I have received an email from Fastweb informing me about the many scholarship programs my daughter may qualify for. In most cases, the scholarships required some work from my daughter in terms of an essay or short paragraph. For example, there is a National Rice Scholarship contest that is given to a student who resides in a state where rice is produced, California being one of them so my daughter qualified. In order for her to win, she’d have to write an essay about how rice was important to her life. She laughed at me when I suggested she write about her Japanese class in middle school making omusubi weekly for school lunches. She had no desire to write that essay, but more to the point, she really didn’t have time. She’d spent the year writing essays and supplemental essays for college applications plus all the essays for school. The last thing she felt she could do, was write about rice. I was overwhelmed as well with the college application process and found myself ignoring these emails. I learned that thousands of kids would be applying for each scholarship so her chances were slim. Many of the scholarships were from corporations like Coca-Cola. Local Rotary clubs offered sponsorships too, but she had no direct connection to them. I did get my daughter to apply to one scholarship from a car company that offered $1000 for a photo with a car and a story. Since my daughter’s middle name is Lark, after the Lark Studebaker, we took a shot at that and sent in a photo and story. We never heard back, not even a generic reply. Now that it’s summer and exams and essays are over, I am starting to open those emails from FastWeb and encourage her to apply for some small scholarships. Any bit will help to buy books or towards trips home. I’ve also learned about myscholly.com, another scholarship search tool. It all comes down to time and money. The more time we put into seeking out scholarships, the more they might pay out. For parents with younger students, I’d suggest familiarizing yourself with scholarship searches and maybe prep your child for a couple. Have them start thinking now about how rice is important in their life. 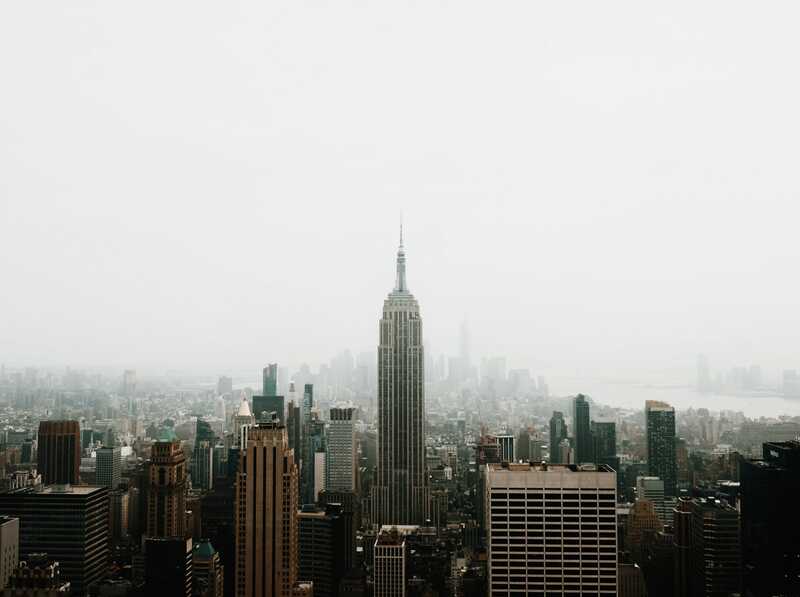 I found myself in NYC this past week with my family and as I walked by New York University it dawned on me that it was time to take my sixteen-year-old on college tours. He attended all the tours with his sister two years ago, but since his interests are different from hers, he wants his own college experience. So I quickly got online and booked a couple of college tours in the city. His sister was a good sport and attended the tours with us. She explained to him that he needed to check in with the tour director, showing demonstrated interest was important and the college starts a file for you the minute you register for the tour. I noticed her nudging him to ask questions or to pay attention when he was drifting off. Dinner conversation that night shifted from my daughter’s college talk to his. It was kind of surreal for all of us since we had just spent the last two years talking about my daughter’s college journey. It was fun to watch him think about his future and he had some serious ideas of where he wants to attend after touring all the schools with his sister. So even if he toured with his sister, does he need to tour the same schools again for himself? I think so since the colleges do want to see demonstrated interest. 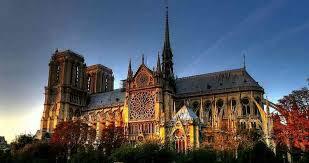 And in the case of some schools, his sister toured a different department then he would be majoring in. Does this mean we need to repeat the same college tour vacation we had two springs ago? Do we take his sister with us who will then be deep into college herself by then? All these decisions are creeping up quickly. My short answer is to take him on a tour next Spring to a city that has a bunch of schools he wanted to see that his sister didn’t. And next summer we can regroup and narrow down his choices. He needs to figure out if he wants to go to art school, theater school or a liberal arts college where he can do both art and theatre. I am hoping he won’t need to do all the auditions our friend Anne did. But thrilled we have some good art school portfolio prep from our friend Edie. We are back home now and the first thing Jasper did was come into my room this morning and ask if he could use my computer to look up some colleges he’d been thinking about. When I picked up the computer later in the day, I noticed all the schools he had looked at were in England. Looks like we will be heading across the pond for next summer’s college tour vacation. Since my kids were in middle school, I made a point to read each book that their teachers assigned. I liked to discuss the books at dinner and I was always curious about a book I hadn’t read. Julie of the Wolves byJean Craighead George was a surprise to me and sticks with me to this day. Learning about wolf packs from the POV of the wolf was something I could only get from this middle grade reader. Once in a while I’d read a book that seemed inappropriate like when Sold by Patricia McCormick was assigned to my sixth grader. Luckily, some of the other parents in the class felt the same way and we were able to discuss our concerns with the teacher before the students took it on themselves. Summer reading in high school introduced me to some great reads like the tenth grade assignment of Americana by Chimamanda Ngozi Adichie, which my son is reading now. And everyone should have the pleasure of reading The Curious Incident of the Dog in the Night-Time by Mark Haddon that was assigned to both my kids the summer before ninth grade. A year ago I read a NYT article about summer reading for college freshman around the country. I was excited to see that summer reading would not go away once college began. I don’t remember being assigned books in summer. Keeping up with the books on this NYT article was a way for me to find books of interest that were contemporary and I was excited to find my daughter assigned two books this summer by her college: Island of a Thousand Mirrors by Nayomi Munaweera and Unflattening by Nick Sousanis. Sydney is loving Island of a Thousand Mirrors and I recently learned that Nayomi Munaweera tours hundred of colleges and will do a reading at my daughter’s school in the fall. Among the schools asking students to read specific books this summer, I’ve found the following: UC Berkeley – Handmaid’s Tale by Margaret Atwood (because she will be there in person at her keynote event on August 23); Bard College – Bacchae by Euripides; Wesleyan University – A Body, Undone: Living on After Great Pain by Christina Crosby; Lafayette College – Hidden Figures by Margot Lee Shetterly. I’m hoping my daughter will continue to share her reading list with me once she goes to college. It will give me some great reads as well as allowing me to have fun and intellectual discussions with her when she returns home. A shared interest in books can help keep us connected in a familiar way while she’s tucked away at in her new school and I am getting used to my empty nest. Mary and I have known each other since our daughters were in Kindergarten together. As always it’s fun for me to watch these little ones grow up and then see where they are headed for their careers. When I think back on Grace, vet school makes sense, but I also her remembered her being a talented actress and wondered if she needed to pick between acting and science. Grace has figured out a way to do both with a Liberal Arts Education. Hi Mary, I understand Grace has chosen a liberal arts college with a STEM major. How did she narrow her interests down to pre-vet? Grace has been interested in Veterinary Medicine for many years. When she had the opportunity to take a research class in high school, she used it to further her interest in the field of captive animal breeding. Her school supported her interest. I know Grace has many talents and interests. How did she narrow down her study to science? Was it hard for her to decide to go into science vs. acting? That is the great thing about the liberal arts college she chose, she will do both. When looking at schools, what were the most important aspects for her? That the school would offer research positions to first-year underclassmen and that they have a strong pre-vet program. Were universities or smaller liberal arts colleges more open to her continuing her research? Grace was very interested in a liberal arts college/university that valued her as a research student with an interest in her project. Did she talk to the colleges/universities about her research? Yes. Since her research class was a big part of her senior year in high school and the proposal was submitted in her junior year, it was a major topic at most of her interviews. Do you think her specific research helped her get into her top school? Yes, mostly because they were aware that she was interested in their pre-vet track. The fact that she would also be considered for her training/experience in theater/acting was a strong selling point. Did she receive grants or merit aid related to her research? Not as yet. She will apply when she gets to school in the fall. Can you explain about applying for grants that she will hear more about in the fall. This is the first I have heard about something like that. 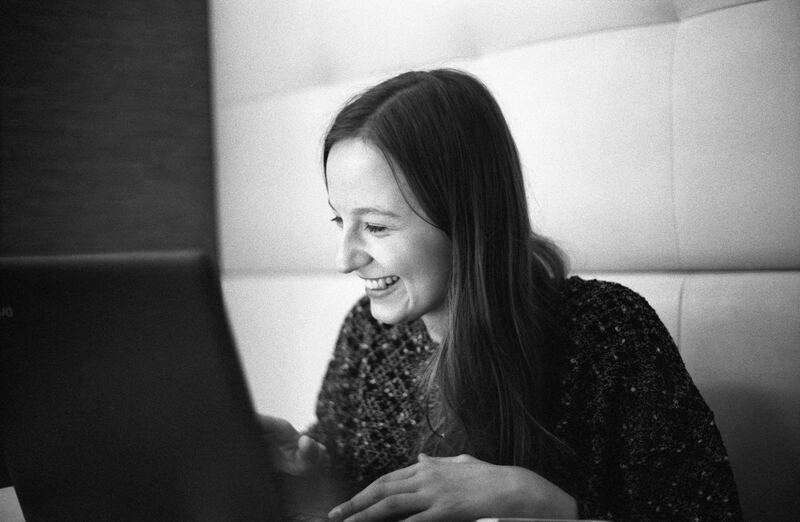 How much time will Grace devote to research while in her undergraduate program? At this point, she is unsure. She has passed along the findings from her research to the San Diego Zoo and she will wait to hear back. How involved were you in guiding her through this decision? I just listened to her as she worked out the pros-cons of each school. I kept notes about what she and I discussed. She was a very independent student and that theme continued through the application process. Did she do an internship related to this field? She did and does work with her Aunt and Uncle in Idaho. Her Aunt has a practice and her Uncle is on staff at WSU Vet school. She shadowed the Vet at Adopt and Shop when she worked there. She does the same at the Annenberg Petspace. Any final advice for other parents with children interested in pursuing a major in science? Many high schools sponsor STEM symposiums and conferences. Preparing and participating in several of those was beneficial to Grace. The trend right now to promote girls interest in STEM, so that worked to her advantage. Thank you, Mary! It was fun catching up with you and best of luck to Grace!